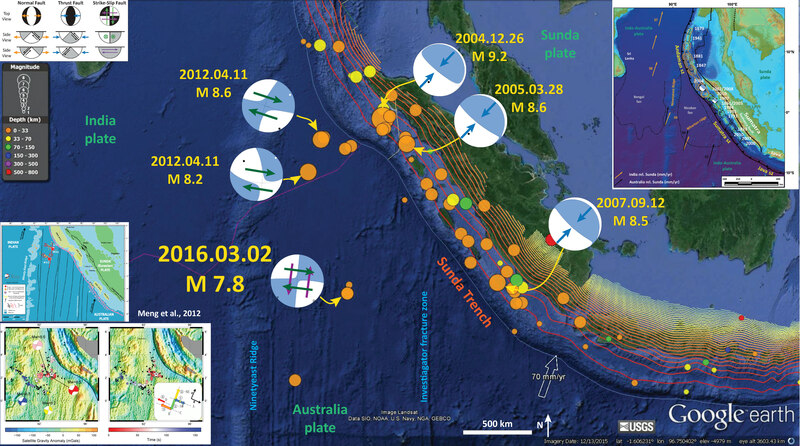 We just had a M = 7.8 earthquake southwest of the Island of Sumatra, a volcanic arc formed from the subduction of the India-Australia plate beneath the Sunda plate (part of Eurasia). Here is the USGS website for this earthquake. Here is my preliminary earthquake report poster. I will update this after class. 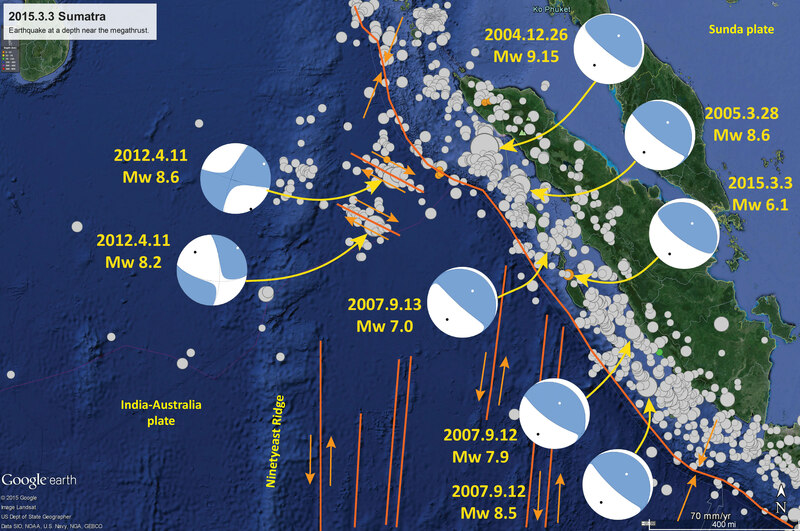 I have presented materials related to the 2004 Sumatra-Andaman subduction zone earthquake here and more here. I include a map in the upper right corner that shows the historic earthquake rupture areas. Here is a poster that shows some earthquakes in the Andaman Sea. This is from my earthquake report from 2015.11.08. 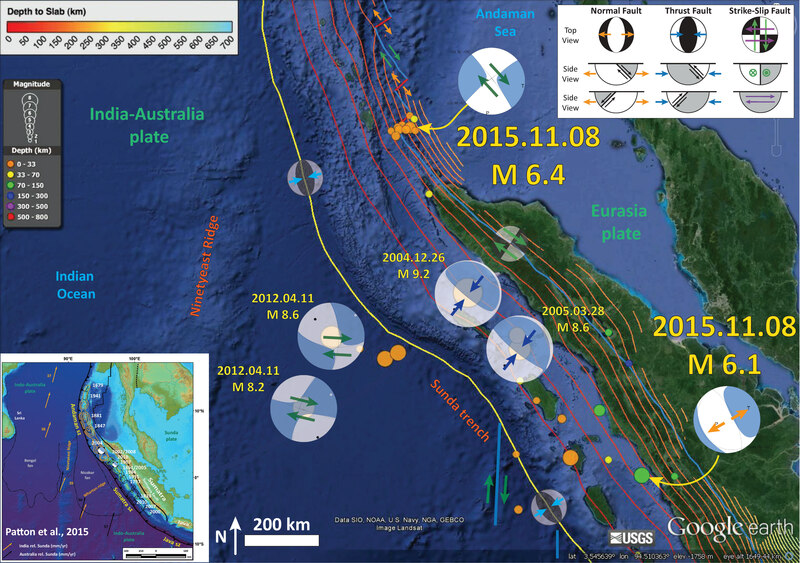 This map shows the fracture zones in the India-Australia plate.